Okay, so one of the lesser known brands for smartphones is Asus. Chances are if you're an enthusiast in the PC realm, you may have a few items around your desk that are by Asus; but you may not know their phones. We've reviewed a few over the years (I have the 5Q currently queued up for review at the moment) and I've been impressed. Moreso the price impresses me. For what you get out of it, the $499USD seems to be a great option. Now, just waiting to hear if it'll come to Canada. Check out the specs and the presser from Asus below. The device is up for pre-sale now with availability (i.e. when it'll start shipping) for August 6th. Fremont, CA (July 30, 2018) — ASUS today announced the immediate availability of pre-orders for the ZenFone 5Z with product availability set for August 6th. 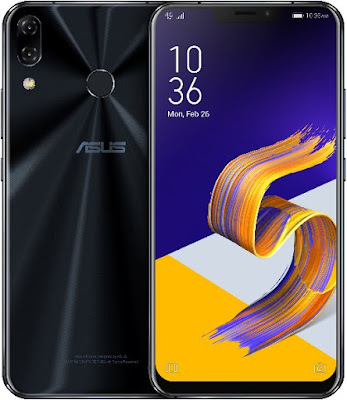 The ZenFone 5Z is a high-performance 6.2-inch dual-camera smartphone that harnesses the power of artificial intelligence (AI). The ZenFone 5Z delivers the ultimate smartphone performance at a groundbreaking price. Equipped with the latest Qualcomm® Snapdragon™ 845 Mobile Platform with its smooth, responsive, power-efficient performance, the ZenFone 5Z includes a full suite of AI-enhanced features powered by the Qualcomm Artificial Intelligence Engine (AIE). With 6GB of RAM and 64GB of storage, the ZenFone 5Z is priced at $499 USD, delivering the best available smartphone performance at an incredible value. The high-performance ZenFone 5Z is powered by the latest Snapdragon 845 Mobile Platform with AI Engine (AIE), featuring a 3rd Generation AI platform that includes the Hexagon 685 Vector DSP, Adreno 630 Graphics, and Kryo 385 CPU. Combined with 6GB of RAM and 64GB of storage, the ZenFone 5Z delivers the most accelerated AI experiences, as well as breathtaking performance combined with outstanding energy efficiency for long-lasting battery life. For maximum on-the-go stamina, the ZenFone 5Z has a high-capacity 3300mAh battery with ASUS BoostMaster fast-charge technology. The ZenFone 5Z also introduces AI Charging to maximize the battery lifespan and provide total protection. AI Charging dynamically adjusts the charging rate by monitoring the user’s charging habits, slowing down the battery's aging process. The intelligent dual-camera system in the ZenFone 5Z has an advanced hardware specification, featuring the flagship Sony® IMX363 image sensor with large 1.4µm pixels and a bright f/1.8 wide-aperture six-element lens that captures up to 5X-brighter and clearer photos in low-light conditions, as well as enabling dramatic Night HDR shots. The 120° wide-angle secondary camera has a field of view that’s 2X wider than a standard smartphone camera, for capturing more expansive landscapes, more natural group shots, and easier photos in cramped spaces. The ZenFone 5Z can record video in stunning 4K UHD resolution, with smooth and steady videos assured by three-axis electronic image stabilization (EIS). To provide near-instant focusing in any situation, the ZenFone 5Z has a dual-pixel phase-detection autofocus (PDAF) system that locks on the subject in just 0.03 seconds, and a four-axis optical image stabilization (OIS) system keeps the lens rock-steady for sharp, blur-free photos. For truly intelligent photography, the camera system incorporates advanced AI algorithms and advanced big-data analytics, so the ZenFone 5Z is always evolving to constantly improve photos. The special AI-enhanced features in the ZenFone 5Z adapt and learn the more they are used, delivering perfect photos every time and creating a truly personal experience for the user. Real-time Portrait: The ZenFone 5Z lets users take professional-looking close-up shots of people or objects, without the hassle. Real-time Portrait with AI technology ensures that the main subject stays pin-sharp, while the background is given a sense of depth with a graduated bokeh effect — created using depth information intelligently analyzed from the subject — for a beautifully artistic photo. Real-time Portrait uses both cameras simultaneously to capture gorgeous portraits and close-ups that make the subject stand out with a real sense of depth, rivaling those taken with high-end DSLR cameras. Pro mode: The ZenFone 5Z includes the powerful Pro mode that gives users full control of all the camera settings, including white balance, exposure, focus, ISO, and an impressive range of shutter speeds from 1/10000 to 32 seconds. With its support for unprocessed RAW files, the ZenFone 5Z is also the ideal choice for users who prefer to fine-tune their images using photo-editing software. By using an ultraslim-bezel, all-screen display, the 6.2-inch ZenFone 5Z is as small as most standard 5.5-inch phones. It’s the ultimate ergonomic design that not only lets users see more, but is much less bulky and is more comfortable to hold. The 6.2-inch Full HD+ all-screen display, with its 90% screen-to-body ratio and gorgeous 2.5D-curved glass, delivers a totally immersive visual experience. The ZenFone 5Z’s all-screen display also supports the DCI-P3 color space, with a wide color gamut that enhances color saturation for amazingly vivid image reproduction. With the ZenFone 5Z, photos, videos, movies and games look better than they've ever looked before. The ZenFone 5Z has two five-magnet stereo speakers that deliver deep, rich and expansive stereo sound. These are driven by dual smart amplifiers that ensure maximum volume while intelligently protecting them from damage. The ZenFone 5Z supports Hi-Res Audio files encoded at up to 24-bit/192KHz sample rates — 4X better than CD quality. For an enhanced listening experience right out of the box, the ZenFone 5Z is supplied with a set of premium Hi-Res Audio-capable earbuds. The ZenFone 5Z also supports DTS Headphone:X™ for 7.1-channel virtual surround-sound over headphones, for a truly immersive experience when watching movies or playing games. In addition to the AI-enhanced cameras and the AI Charging, AI Ringtone intelligently adjusts the ringer volume according to the ambient noise level, so users won’t miss calls even on a busy street or in a noisy restaurant, and calls received in the middle of the night won’t disturb sleepers. ZeniMoji is a fun new ZenFone 5 feature — exclusive to ASUS — that lets users animate cute avatars using their own voice, facial expressions and head movements. Uniquely, ZeniMoji avatars can be used in video chats or live-streaming, as well as in text chats, to make them more entertaining. The ASUS ZenFone 5Z in Midnight Blue (ZS620KL-S845-6G64G-BL) is immediately available for pre-order at a MSRP of $499 USD from the ASUS Store, Amazon, B&H, and Newegg, with product availability August 6th. The ASUS ZenFone 5z in Meteor Silver (ZS620KL-S845-6G64G-SL) is immediately available for pre-order at a MSRP of $499 USD from the ASUS Store, Amazon, B&H, and Newegg, with product availability August 6th.